Three years have passed since former President Barack Obama signed a U.S. House resolution directing Amtrak to rename 30th Street Station after a late congressman. With the Philadelphia transportation hub's name still unchanged, U.S. Sen. Bob Casey and a spate of local politicians and community leaders said Friday that it's time to make the move. At a press conference inside the station, Casey, Mayor Jim Kenney and others called for an immediate renaming of the station as "William H. Gray III 30th Street Station." They also questioned why the name has stood pat despite House Resolution 4838, which Obama signed in August 2014. The change would memorialize a longtime pastor at Bright Hope Baptist in North Philadelphia who served in Congress from 1979 to 1991. Gray was 71 when he died in 2013. Amtrak did not immediately respond to a request for comment Friday afternoon. Proponents of the change point to Gray's role in bringing infrastructure improvements to the station and helping to boost federal funding for Amtrak after the railroad passenger service had its budget slashed in the 1980s. “These investments allowed Amtrak to make 30th Street Station an anchor of economic development in Philadelphia and southeastern Pennsylvania," said state Rep. Curtis Thomas, D-Philadelphia. "We will not accept continued delay or deferment." Not only does Thomas want the station renamed, he wants the Amtrak to recognize the new name in all future references to the station, including in its marketing. Thomas acknowledged the move would come at a price, but he said members of the Now Gray coalition and others are "prepared to step up to the plate in dealing with the costs." Thomas said a diverse group of Philly religious leaders also attended the conference. The station, which opened in 1933, is among the country's busiest. Amtrak plans to start a huge overhaul of the station and the surrounding area in 2020. 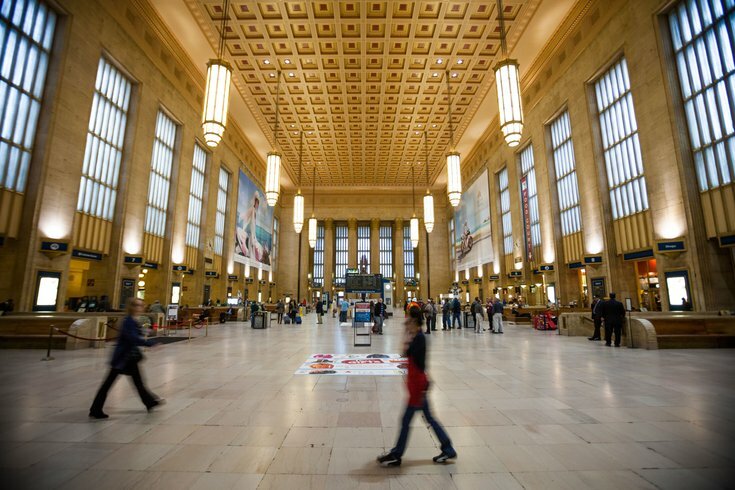 The 30th Street Station District Plan is laid out over a 35-year timeline and covers 88 acres of land. Officials plan to add 18 million square feet of new development space and 40 acres of open space.